ArchDrill is an independent consulting company providing Third-Party interpretation. Log Interpretation includes CBL-VDL, Sector bond logs, USIT, URS, and CAST! 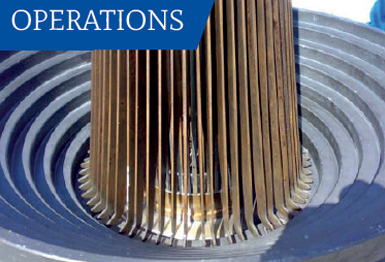 We specialise in the cement bond log interpretation based on cased hole wireline tools. The logging data from measurement tools from wireline service companies like Halliburton, Schlumberger, Baker Hughes, and Weatherford are what we are very familiar with. The interpretation of cement bond logs from these companies are quite common as they are used regularly for logging exploration and production wells in the oil and gas industry. Additionally, wells from gas storage and geothermal projects are also being logged with the same CBL tools like USIT, URS and CAST. As the work in the areas of well abandonment and decommission increase, it has led to more logging in wells where there is very little data remaining from when the well was originally drilled. ArchDrill specialise in providing independent analyzing of cement bond logs. Experience has shown that no measurement data set is perfect, but it should be high quality. Critical channels and logging images should be included in the log and the digital data outputs. An assessment of the data quality is the first step of performing an evaluation. The cement bond logging data will be accessed if it is qualitative or quantitative usable for the analysis. Qualitative data can only be used to give a general overview in the interpretation. Quantitation data is high quality data in which the actual measurements values can be used for a detailed analysis and evaluation. Logging data traceability and reliability are important aspects for the logging procedure that have to be audited and reviewed in order to avoid inconsistencies. ​It is recommended that a Standard Operating Procedure (SOP) be written to aid the logging engineers in delivering consistent and reliable cased hole wireline data sets. We will perform our analysis of the quality of the measurement data and evaluates its reliability. The cement bond data will be assessed and the results of the cementation will be reported in a report based on our standard template. ​We provide measurement interpretation for all tools related to cement bond logging. This consist of CAST, URS and USIT interpretation, as well as the traditional CBL-VDL tools with their radial sectors. The ultrasonic tool data in DLIS form like from the Schlumberger USIT tool offer a wealth of information. Interpreting this data and presenting it in a usable way is our goal so that the questions related to the cementation can be clearly answered. The cost of the evaluation includes a fixed report price plus a price per meter for the logged interval for each tool. The report will be completed between 36 and 48 hrs. Advance notice can result in faster delivery. Logging data can also be sent through the services of the logging company by providing us with the access link and login information. Reports are provided in English or in German. Translations into other languages can also be provided if required. We promise to provide the best work possible with modern tools. To support this, we guarantee your expectations by providing 100% money back on the creation of your report and the interpretation included. 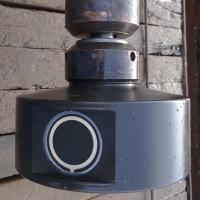 If you are in the process of measuring your wells with cased hole tools like PMIT, USIT and/or CBL.VDL, we can support you with interpretation services and money can be saved. ArchDrill provides support to wellbore owners in running cased hole wireline campaigns. We also provide Cement bond log interpretation service for wireline logging data concerning casing integrity. This is provided in the form of a custom made report which meets your reporting requirements. Why Interpretations are the Secret Ingredient. 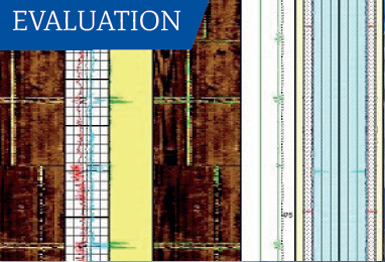 To help engineers have an overview of the data, the cement and corrosion log curves are imported into a compact presentation and combined with a report explaining the type of measurements used and the results measured. Additionally, the meters of wireline logs are compressed onto an A4 page with annotations and added to the report as an attachment. This provides an overview of the measurement data so that everyone can view and understand it. 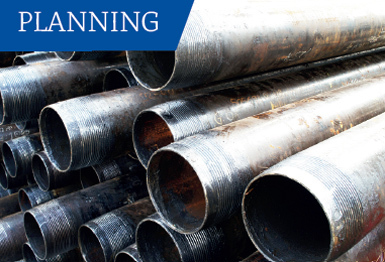 The summary of the report states the current operational condition of the casing or tubing. This is very helpful for downhole completion work and finalizing the project documentation.